Songs from the iTunes Store and Apple Music use the AAC digital audio format. AAC generally offers better sound quality and smaller files than MP3, but some people still prefer MP3. If you're one of them, you may want to convert your music from AAC to MP3. Lots of programs offer this feature, but you don't need to download anything new—and you definitely don't need to pay for anything. Just use iTunes. There's an audio-file converter built into iTunes that you can use to convert AACs to MP3s. You can only convert songs from AAC to MP3 if they are DRM-free. If a song has DRM (Digital Rights Management), it can't be converted, since conversion could be a way to remove the DRM. Open Preferences (on Windows, do this by going to Edit -> Preferences. On a Mac, go to iTunes -> Preferences). On the General tab, click the Import Settings button towards the bottom. You'll find it next to the When a CD is inserted drop-down. In the Import Settings window, choose MP3 Encoder from the Import Using drop-down. You should also make a choice in the Setting drop-down. The higher the quality setting, the better the converted song will sound (though the file will be bigger, too). We recommend using either the Higher Quality setting, which is 192 kbps, or choosing Custom and selecting 256 kbps. Never use anything lower than the current bit rate of the AAC file you're converting. If you don't know it, find it in the song's ID3 tags. Pick your setting and click OK.
Click OK in the Preferences window to close it. In iTunes, find the song or songs you want to convert to MP3. You can select songs one at a time or in a group of non-contiguous files by holding down Control on Windows or Command on Mac while you click each file. When you've selected all the files you want to convert, click on the File menu in iTunes. The file conversion begins. How long it takes depends on how many songs you're converting and your quality settings from step 5 above. When the conversion from AAC to MP3 is complete, you'll have one copy of the song in each format. You may want to hold onto both copies. But if you want to delete one, you'll need to know which is which. In that case, select one file and hit the keys Control-I on Windows or Command-I on a Mac. This pops up the song's information window. Click the File tab. The Kind field tells you whether the song is an AAC or MP3. 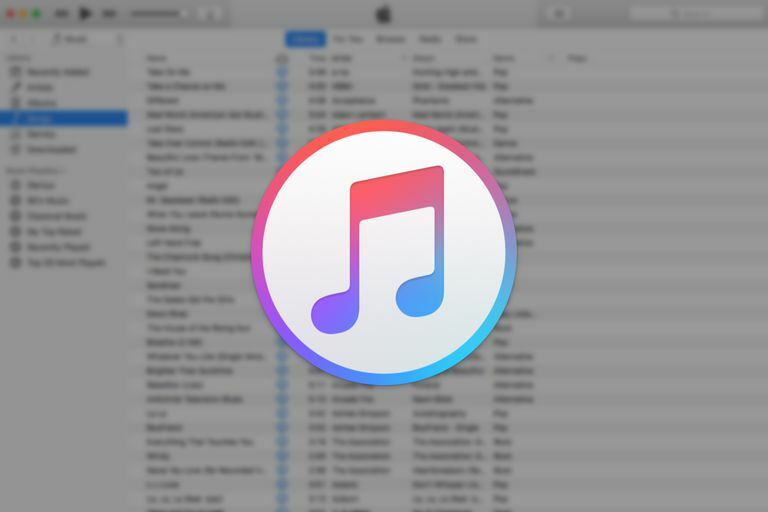 Delete the song you want to get rid of in the normal way you delete files from iTunes. Converting a song from AAC to MP3 (or vice versa) can result in a slight loss of sound quality for the converted file. That's because both formats keep file size small by using compression technologies that reduce some sound quality at high and low frequencies. Most people don't notice this compression. This means that AAC and MP3 files are already compressed when you get them. Converting the song to a new format further compresses it. You may not notice this difference in audio quality, but if you've got great ears and/or great audio equipment, you might. You can ensure the best audio quality for your files by converting from a higher-quality original, rather than a compressed file. For example, ripping a song from CD to MP3 is better than ripping it to AAC and then converting to MP3. If you don't have a CD, perhaps you can get a lossless version of the original song to convert.